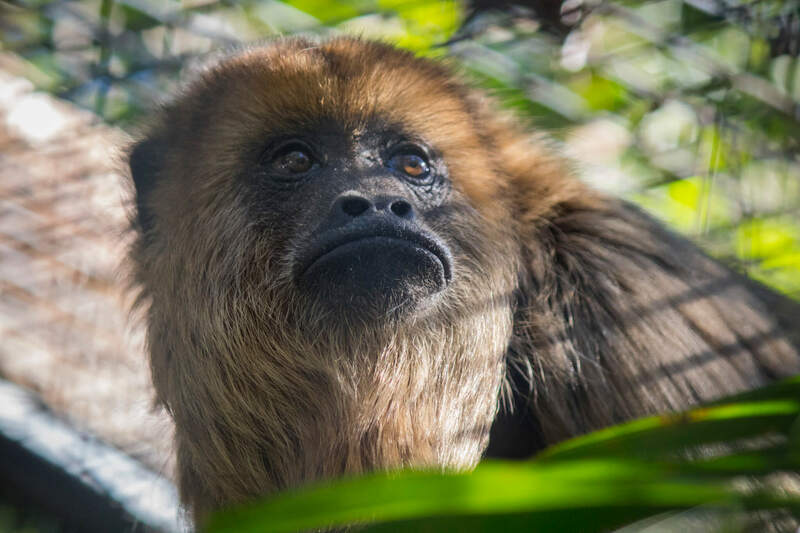 Aptly named for their loud calls, howler monkeys can most often be heard at dusk and dawn and may be heard up to three miles away! Their long tails are prehensile, meaning they can use it like a fifth limb! 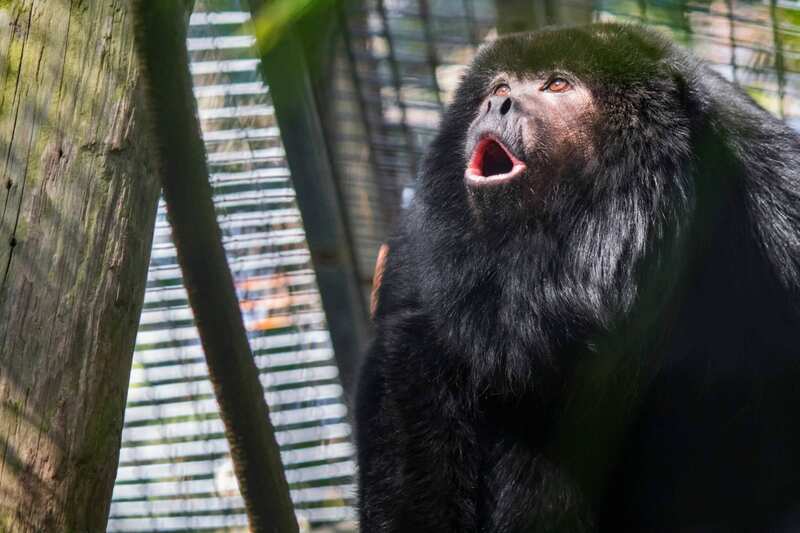 This is one of the few primates in which males and females are colored differently. 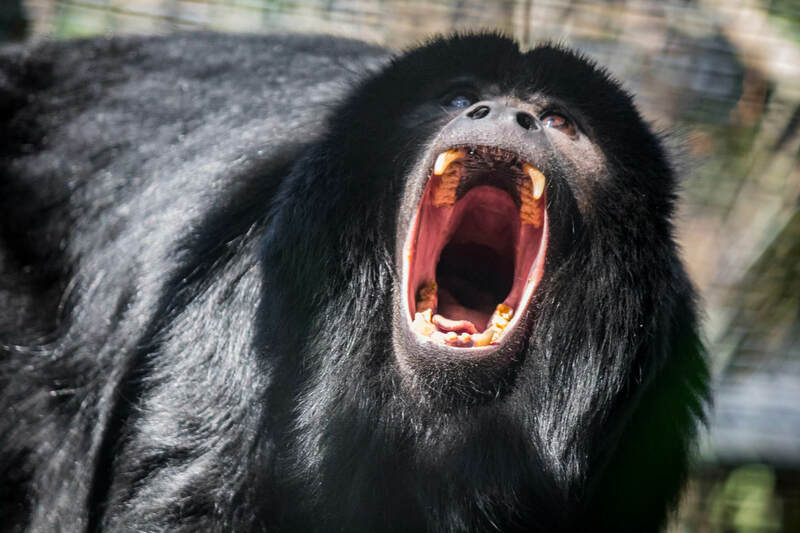 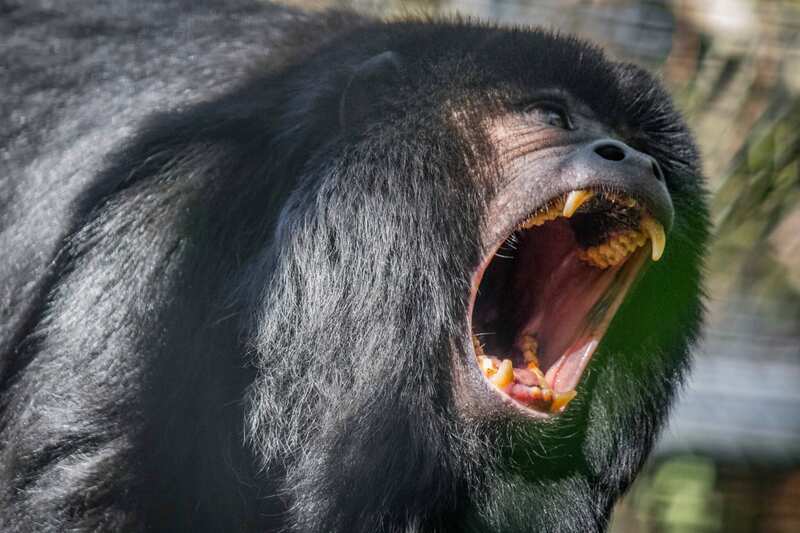 While all black howler monkeys are born blonde, males turn black as they age while the females remain blonde! Howler monkeys rarely descend to the ground and spend their time aloft munching on leaves that make up most of their diet.